Most…biologists, having reviewed with satisfaction the downfall of the spontaneous generation hypothesis, yet unwilling to accept the alternative belief in special creation, are left with nothing. [Actually, they “are left” with God.—JM] I think a scientist has no choice but to approach the origin of life through a hypothesis of spontaneous generation. What the controversy reviewed above showed to be untenable is only the belief that living organisms arise spontaneously underpresent conditions. We have now to face a somewhat different problem: how organisms may have arisen spontaneously under different conditions in some former period, granted that they do so no longer (1954, pp. 46-47, emp. added). To make an organism demands the right substances in the right proportions and in the right arrangement. We do not think that anything more is needed—but that is problem enough. One has only to contemplate the magnitude of this task to concede thatthe spontaneous generation of a living organism is impossible. Yet here we are…. (1954, pp. 46-47, emp. added). Evolutionists write, in essence, children’s fables—full of wild speculation, theories, and conjecture about the possible pre-life planetary conditions, but ultimately their viewpoint is “inaccessible to the empirical approach” (Hoyle and Wickramasinghe, 1978, p. 26). Richard Dickerson agreed with Wald. Writing in Scientific American under the heading of “Chemical Evolution and the Origin of Life,” h e remarked that when speculating about Earth’s pre-biotic conditions we have “no laboratory models: hence one can speculate endlessly unfettered by inconvenient facts” (1978, p. 85, emp. added). He went on to concede: “We can only imagine what probably existed, and our imagination so far has not been very helpful” (p. 86, emp. added). So, basing theories upon imagination is now considered scientific! Notice from this discussion that in holding to such a position about “pre-biotic conditions,” atheistic evolutionists have nonchalantly moved away from the standard evolutionary model—recognizing that it simply cannot account for the existence of life. Evolutionary theory has historically been based on uniformitarian principles, which assume that geological processes existing today on Earth have existed throughout the past as well (Merriam-Webster On-line Dictionary, 2003). Theorizing conditions that are not in existence today is, in effect, a rejection of standard evolutionary assumptions. It is the creation model—not the evolutionary model—which has historically rejected uniformitarianism. Sadly, in today’s scientific community, it appears that evolutionists have been given the freedom to cherry-pick what their standard assumptions will and will not apply to. How can such be deemed scientific? As for spontaneous generation, it continued to find acceptance until finally disposed of by the work of Louis Pasteur—it is a curious thing that until quite recently professors of biology habitually told this story as part of their introductions of students to biology. They would finish this account glowing with the conviction that they had given a telling demonstration of the overthrow of mystical notion by clean, scientific experimentation. Their students were usually so bemused as to forget to ask the professor how he accounted for the origin of life. This would have been an embarrassing question, because there are only two possibilities: either life arose by spontaneous generation, which the professor had just refuted; or it arose by supernatural creation, which he probably regarded as anti-scientific (1962, p. 187, emp. added). So, according to Wald, in 1962 the demise of spontaneous generation was openly taught in biology classes “until quite recently,” and then, with the next breath, the teacher would proceed to engage in self-contradiction by teaching evolutionary theory with its abiogenesis myth. Though this statement was made years ago, the same is still the case a half century later. According to evolutionists, the planetary conditions must have been different in the distant past—more conducive to abiogenesis. Enter the endless speculation about the pre-biotic world. Consider an example of how such speculation plays out in the high school biology classroom. In one high school biology textbook from the 1990s, published by the popular company Prentice Hall, immediately after explaining how Pasteur, Redi, and Spallanzani disproved spontaneous generation, the authors queried: “If life can come only from life, how did life on Earth first arise?” (Miller and Levine, 1991, p. 342). The book proceeds to speculate with profound certainty what conditions were like on Earth billions of years ago. The observant student, who is able to see through all of the jargon, will notice that throughout the ensuing discussion about these hypothetical conditions, subtle disclaimers are made. 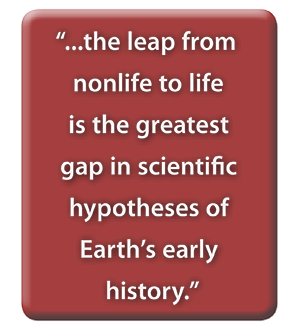 “No one can say with certainty…”; “Somehow these earliest life forms appeared…” (p. 343, emp. added). While discussing the experiments of Miller and Urey conducted in 1953, the textbook says, “Thus, over the course of millions of years, at least some of the basic building blocks of life could have been produced in great quantities on Earth” (p. 344, emp. added). The authors proceed to admit concerning the experiment’s products: “A collection of organic molecules such as amino acids is certainly not life” (p. 344, emp. added). Next, as if emphasizing the power of intelligent design, the authors briefly discuss the experiments of Russian scientist Alexander Oparin and American scientist Sidney Fox and the round droplets (deemed “protolife”) they “created” in their lab, which can “perform tasks necessary for life” (p. 344). However, they admit that, “we would still not say that these droplets are alive” (p. 344, emp. added). So, recapping the evolutionary rhetoric to this point: evolutionary theory’s explanation of the origin of life is based on words and phrases such as, “no one can say with certainty,” “somehow,” “some,” “could have,” “certainly not life,” and “still not say that these droplets are alive.” Recall that the original point of the authors’ discussion was to explain how life could have spontaneously arose in the past. The authors, in spite of several paragraphs of “explanation,” have yet to answer the question. Assuming they have a brilliant answer coming in the following paragraphs, the ambitious student reads on. The next step in our story is the most difficult to understand completely. From the jumbled mixture of molecules in the organic soup that formed in Earth’s oceans, the highly organized structures of RNA and DNA must somehow have evolved. Scientists do not know how these vital information-carriers formed, but there are several interesting hypotheses (pp. 344-345, emp. added). The authors then imaginatively give several potential suggestions for how matter could have arranged itself in preparation for life to spring into existence, liberally sprinkling in words like “could have arisen” and “might have combined.” They finish off the section stating, “This is one piece of evidence supporting this interesting, but as yet unproven, hypothesis” (p. 345, emp. added). Notice that the authors still have yet to prove, or even attempt to explain, how spontaneous generation could have occurred. They spent their time presenting imaginary ways matter allegedly could have randomly and accidentally arranged itself in ways that might prepare it for life—although they have no way of knowing whether that arrangement would help or hinder the process, since abiogenesis has never been observed to occur. No evidence was given for how matter could have actually sprung to life. Finally, the authors simply skip over the question of how the spontaneous jump from inorganic matter to living cells occurred, perhaps correctly realizing that most of the dazed and confused students will not catch this subtle sleight of hand. The authors boldly state, “Although the origin of the first true cells is uncertain, we can identify several of their characteristics with certainty” (p. 345, emp. added). So, the student is quickly distracted and led away from the original question. According to the authors, scientists do not know how living cells actually spontaneously generated, but they assert they know “with certainty” what those cells were like once they mysteriously sprang into life. The authors state this assertion as if they have decisively answered the original question about how life arose. They then proceed to speculate concerning the nature of these living cells, never answering the question of how they originally came to life. In all fairness, how could they answer such a question? Spontaneous generation has already been disproven—scientifically—and they admitted as much on previous pages. Yet they have conveniently failed to come to grips with the import of their own admissions. convinced other scientists that the hypothesis of spontaneous generation was not correct. In other words, Pasteur showed that all living things come from other living things. This change in thinking represented a major shift in the way scientists viewed living things (Miller and Levine, 2006, pp. 12-13, emp. added). Sadly the evolutionary community has not allowed Pasteur’s findings to “shift” the way they view living things and their origins. In this same, more recent edition, the authors “wisely” separated the discussion of Pasteur’s and Spallazani’s work from the discussion on the origin of life by 415 pages. This helps students to forget that evolution contradicts the scientific evidence found by these scientists’ work. In discussing the origin of life, the authors once again fail to accept the implied conclusion from Pasteur’s work regarding the origin of life, stating, “As you will see shortly, researchers still debate such important questions as precisely how new species arise and why species become extinct. There is also uncertainty about how life began” (p. 386, emp. added). Undaunted, the authors proceed to engage in the same hapless speculation they engaged in 15 years earlier. Similar to the previous edition, they discuss the findings, or rather non-findings, of the Miller-Urey experiments. A significant change in the 2006 edition was a candid admission about those experiments which was couched in the midst of the discussion: “Scientists now know that Miller and Urey’s original simulations of Earth’s early atmosphere were not accurate” (p. 424, emp. added). If such is the case, one might rightly ask why the experiments are still discussed at all. The answer lies in the embarrassing fact that evolutionists still have absolutely no evidence that can corroborate abiogenesis. Leaving the discussion out would highlight the unscientific nature of evolution. Leaving the discussion in the textbook creates the impression with youth that some hidden support remains for the abiogenesis postulate in the Miller-Urey experiments—support that is somehow too advanced to discuss with them at their current competency. After all, many youth are more likely to believe the teachers and textbooks they have been trained and taught to believe than they are to think critically about the material actually being presented. In the next section, under the heading, “The Puzzle of Life’s Origins,” the authors admit, “A stew of organic molecules is a long way from a living cell, and the leap from nonlife to life is the greatest gap in scientific hypotheses of Earth’s early history” (p. 425, emp. added). And that’s it. Proof for abiogenesis is not presented. A scientific refutation of the Law of Biogenesis is not conducted. Once again, the authors fearlessly launch into pages of speculation concerning the origin of the building blocks of life, liberally using qualifying language to subtly admit that nothing the authors are saying has been proven. 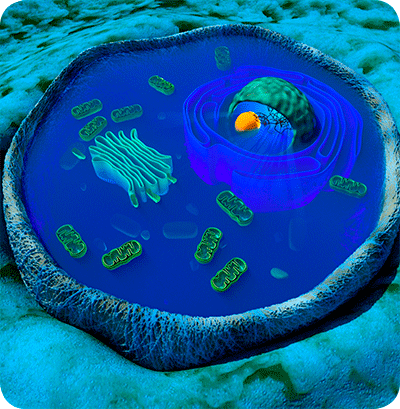 Concerning proteinoid microspheres, which have some cell-like characteristics but which are not considered living entities, the authors note: “Microspheres are not cells, but they have some characteristics of living systems…. Several hypotheses suggest that structures similar to proteinoid microspheres might have acquired more and more characteristics of living cells” (p. 425, emp. added). Such unending speculation, not backed by any proof whatsoever, is being allowed to fill the minds of unsuspecting youth, causing them to lose faith in the biblical model of life origins—which, in reality, is the origin model actually in keeping with the scientific evidence. The authors proceed to admit once again, “Another unanswered question in the evolution of cells is the origin of DNA and RNA” (p. 425, emp. added). So, in their pointless trek to prove evolutionary theory, evolutionists cannot even reach the abiogenesis chasm of impossibility that they must cross in order to prove their theory. They are still hampered by the chasms that exist much earlier in their mythical journey. 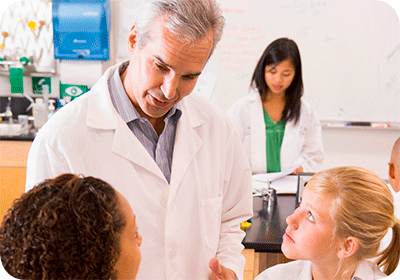 Notice that the phrase “unanswered question” can be misleading to a young biology student. It leaves the subtle impression that scientists have answered many questions about how life arose, and those answers are established fact. In actuality, the “unanswered question” is not referring to the question of whether or not evolutionists know anything about how life or its building blocks arose on the planet. The question is referring to the fact that there are questions regarding the feasibility of the origin of life that evolutionists cannot answer, but which must be answered in order for the theory of evolution even to be a possibility, much less the true, factual scientific explanation of the origin of life. Still, many unashamedly—and unscientifically—tout evolution as a fact. In this lecture series I make a basic assumption that life emerged by some kind of natural process. I propose that life arose by a sequence of events that are completely consistent with the natural laws of chemistry and physics. In this assumption I am like most other scientists. I believe in a universe that is ordered by these natural laws. Like other scientists, I rely on the power of observations and experiments and theoretical reasoning to understand how the cosmos came to be the way it is (2005, emp. added). [Notice the fact that Hazen contradicts himself by claiming that he relies “on the power of observations and experiments” in his belief on the origin of life, while also admitting in his lecture series that he and all evolutionists are “woefully ignorant” concerning the origin of life, and that likely, “any scientific attempt to understand life’s origin is doomed to failure; such a succession could not be duplicated in a program of lab experiments” (2005, emp. added). He claims to rely on “observations,” “experiments,” and “reasoning” to arrive at his scientific conclusions—one of which is abiogenesis. However, he accepts this belief without reason since it is not, and cannot be, backed by observation or experiment, and according to his own words, such may not ever even be possible.] Hazen states that he considers himself to be in line with “most other scientists” in his self-contradictory assumption regarding the naturalistic origin of life. Of course, he means “atheistic evolutionists” when he speaks of such “scientists” and is absolutely correct in his assertion. At this point, it is necessary to reveal a little inside information about how scientists work, something the textbooks don’t usually tell you. The fact is that scientists are not really as objective and dispassionate in their work as they would like you to think. Most scientists first get their ideas about how the world works not through rigorously logical processes but through hunches and wild guesses. As individuals they often come to believe something to be true long before they assemble the hard evidence that will convince somebody else that it is. Motivated by faith in his own ideas and a desire for acceptance by his peers, a scientist will labor for years knowing in his heart that his theory is correct but devising experiment after experiment whose results he hopes will support his position (1986, pp. 17-18, emp. added). 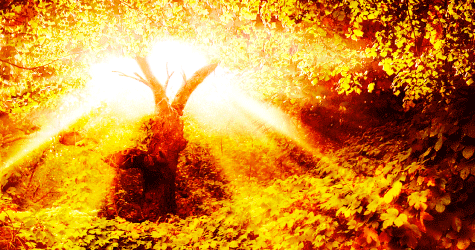 Living things arise from living things through reproduction…. The mistaken idea that living things can arise from nonliving sources is called spontaneous generation. It took hundreds of years of experiments to convince people that spontaneous generation does not occur (Coolidge-Stolz, et al., 2005, pp. 36-37, emp. added). So, the truth of biogenesis still stands as law, though now stripped of its appropriate scientific designation: “Living things arise from living things”; “[S]pontaneousgeneration does not occur.” Unfortunately, it seems that evolutionists, like these very authors, still have not gotten the memo. One would think that the admission, “spontaneous generation does not occur”—clearly implying there are no exceptions to this rule—would mean that biogenesis is still a law. After all, the same statements were made when it was considered a law. The only change appears to be the removal of the word “law,” while still teaching the same truth. Starting on page 170, the authors proceed to teach evolutionary theory, never even addressing the question of how life could have come about—a question which must be able to be answered before the impossible theory of evolution could even begin its “work” millions of years ago. Other textbooks still use the term “biogenesis,” but have lowered its standing from that of a law. Under the heading, “Spontaneous Generation and Biogenesis,” another prominent life science textbook briefly explains the work of Pasteur, stating that he “provided enough evidence to disprove the theory of spontaneous generation. It was replaced with biogenesis, which is the theory that living things come only from other living things” (National Geographic…, et al., 2005, p. 19, emp. added). Notice the sly adjustment from a “law” to a “theory.” Why change biogenesis to a “theory” instead of a “law,” particularly since the same textbook defines a “scientific law” as “a statement about how things work in nature that seems to be true all the time” (p. 10)—a statement which perfectly describes biogenesis? Based on this definition, has scientific investigation over the last several years nullified biogenesis as being a “law”? As we have already seen above, the answer to that question is a resounding, “No.” There is absolutely no evidence for abiogenesis. Thus, biogenesis, by all rights, is still a law, not a theory. Only the biased evolutionist would proclaim otherwise. Some philosophers call this a principle instead of a law, but this is a matter of definition, and definitions are arbitrary. 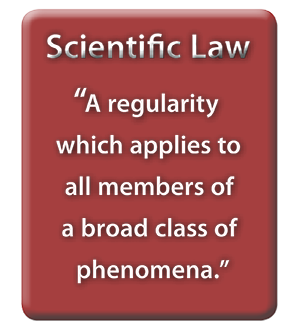 Some scientists call this a superlaw, or a law about laws. Regardless of terminology, biogenesis has the highest rank in these levels of generalization (1974, p. 74, emp. in orig.). In truth, calling Biogenesis a “principle” instead of a “law” does absolutely nothing to aid the evolutionary model, other than making its proponents falsely feel more comfortable with the self-contradictory viewpoint they embrace. 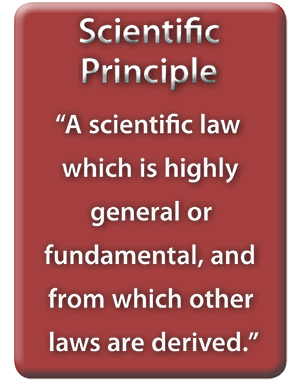 After all, the McGraw-Hill Dictionary of Scientific and Technical Terms defines a “principle” as “a scientific law which is highly general or fundamental, and from which other laws are derived” (2003, p. 1671, emp. added). 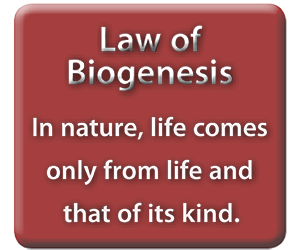 Evolutionists simply cannot escape the truth of the Law of Biogenesis. Evolution cannot be true, and the Law of Biogenesis also be true. Why go against the scientific evidence in support of an unscientific whim? Today’s evolutionist tries to side step the abiogenesis problem by contending that evolution has nothing to do with the origin of life, but rather is a theory which starts with life already in existence and explains the origin of all species from that original life form. However, this is wishful thinking. Historically, evolutionists have recognized that abiogenesis is a fundamental assumption inherent in evolutionary theory. Recall that Kerkut listed abiogenesis as the first assumption in a list of non-provable assumptions upon which evolution is founded (Kerkut, 1960, p. 6). Recall further that atheistic evolutionist Robert Hazen admitted that in his assumption of abiogenesis, he is “like most other scientists” (2005). After all, without abiogenesis in place, there is no starting point for atheistic evolution. One would have to concede, at the very least, some form of theistic evolution. 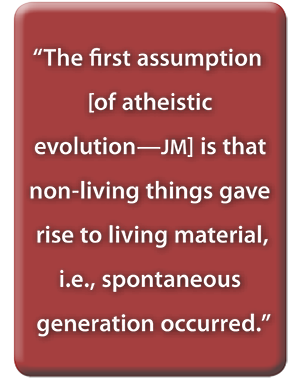 However, proposed theistic evolutionary models have been found to be untenable as well (cf. Thompson, 2000). Further, evolutionists themselves often use the term “evolution” as a generalized catchall word encompassing all materialistic origin models, including those dealing with the origin of the cosmos, not just the origin of species. Creationists are merely using the evolutionists’ terms in the same way they use them. The truth is, one cannot logically commence a study of Life Science or Biology—studies which are intimately linked with the theory of evolution by scientists today—without first studying the origin of that life which allegedly evolved from a single-celled organism into the various forms of life on Earth today. The two are linked and logically cannot be separated. The reality is that since macroevolution cannot harmonize with true theism (cf. Thompson, 2000), that theory is left alongside abiogenesis as a fundamental plank of atheism. The two are intimately linked and stand or fall together. One wonders why some “scientists” are so unscientific in their view of origins. Why pick the view that is, by their own admission, “impossible”? Why not look at the scientific evidence and allow it to lead to a conclusion that is in keeping with that evidence—regardless of whether or not they wish to accept it, and regardless of whether the ultimate Cause of life can be directly observed? Would not such an approach be the reasonable one? Would not such an approach be the scientific one? Why should the assumption be made that there is no Creator? Recognizing the existence of a Creator allows for an explanation of the origin of life that is in keeping with the scientific evidence—unlike abiogenesis. The late, renowned British philosopher and former atheist, Antony Flew, after decades of promoting atheism, decided at the end of his life to accept the evidence and concede the existence of a Supreme Being. He wrote, “The only satisfactory explanation for the origin of such ‘end-directed, self-replicating’ life as we see on earth is an infinitely intelligent Mind” (2007, p. 132). While his willingness to stand against the overwhelming tide of false science in becoming somewhat of a deist is certainly commendable, coming to such a conclusion should not be difficult. An unbiased examination of the scientific evidence on the matter shouts the truth to the unbiased mind. If it could be said that the Law of Biogenesis contradicts the scientific evidence, it would be false. However, such is not the case. It is in keeping with all the evidence. Consider, though, that if one rejects the Creation model, the Law of Biogenesis must be false, since without the Creation model, life had to come from non-life—in violation of that law. The atheistic evolutionist’s conclusion: all of the scientific evidence over the centuries which has proven, according to the evolutionists themselves, the impossibility of abiogenesis, should be discarded in support of a theory which has no scientific support. Evolution is not in harmony with true science. Creation, however, is. If abiogenesis is not true according to science, special creation, which does not contradict the Law of Biogenesis, must, of necessity, be true. Science, once again, is the friend of God and His Word and the enemy of the atheist. Coolidge-Stolz, Elizabeth, Jan Jenner, Marylin Lisowski, Donald Cronkite, and Linda Cronin Jones (2005), Life Science (Boston, MA: Prentice Hall). Dickerson, Richard E. (1978), “Chemical Evolution and the Origin of Life,” Scientific American, 239:70-110, September. Kerkut, George A. (1960), The Implications of Evolution (London: Pergamon). Miller, Kenneth R. and Joseph S. Levine (2006), Biology (Upper Saddle River, NJ: Prentice Hall). Merriam-Webster On-line Dictionary (2003), http://www.m-w.com/cgi-bin/dictionary. National Geographic Education Division, Lucy Daniel, Peter Rillero, Alton Biggs, Edward Ortleb, and Dinah Zike (2005), Life Sciences (New York: McGraw-Hill/Glencoe). Rensberger, Boyce (1986), How the World Works (New York: William Morrow).